Oh Bother!, or OMG husbo is in Germany and I’m alone with the kids all week! Eeeeek!!! Happy Monday, folks! I hope you had a nice weekend. I spent part of the weekend helping hubby get ready for a week-long trip to Germany (OMG), trying to manage my crazy monkeys and making my way through the mess that is my house. Which is where this lovely image comes in. 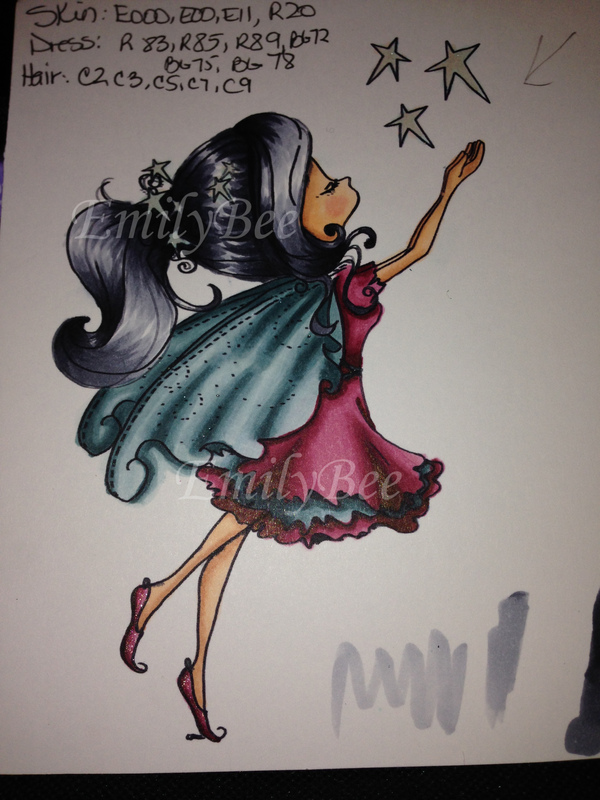 Fairy Fae Catches a Star, from Tiddly Inks. Isn’t she beautiful! Colouring her up helped me get back into my happy place Saturday and Sunday evening. I just love how delicate she is and she reminds me that we have to keep reaching for our dreams. TMI alert! During one of my difficult therapy sessions (yes, I see a therapist – I call her “Doc”), where I was feeling especially sorry for myself, I put the question out there: why do I even bother? What’s the point? (of eating well, exercising…). Doc answered “Because you have to always bother”. So simple, and yet it has stuck with me over the past few weeks whenever I get overwhelmed and feel like giving up (like this week as a single parent), Fairy Fae reminds me that I have to always bother. Anyhoodles (stole that one from my fab colleague SDS), thanks for stopping by and remember to always bother.